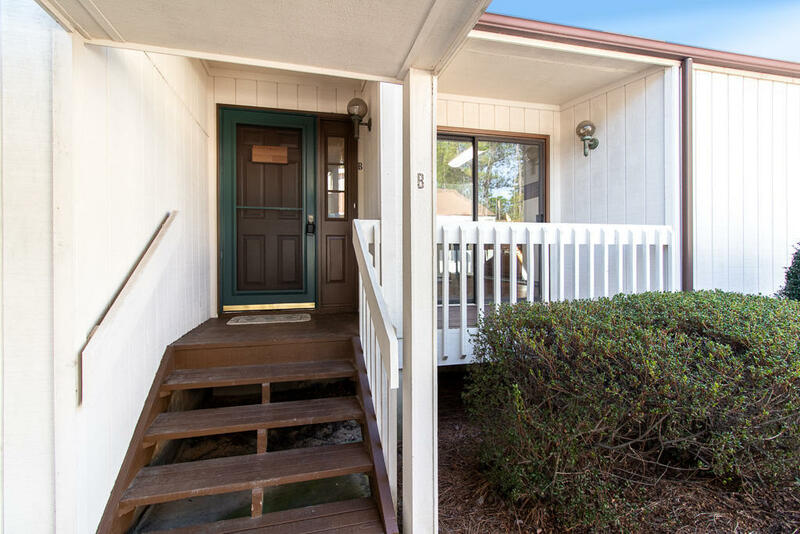 Remodeled TWO Bedroom, TWO bath condo in Whispering Pines! NEW Flooring, NEW paint, NEW fixtures! Very bright with lots of natural light coming from transom windows in vaulted ceiling family room. Large back DECK with serene view of Whispering Woods golf course and the pond. Condo includes a one car detached garage space and one exterior parking space. Single level living at it's best!